Description: 3 Ygs Ygaden Guardsman Assault Mecha Kits. 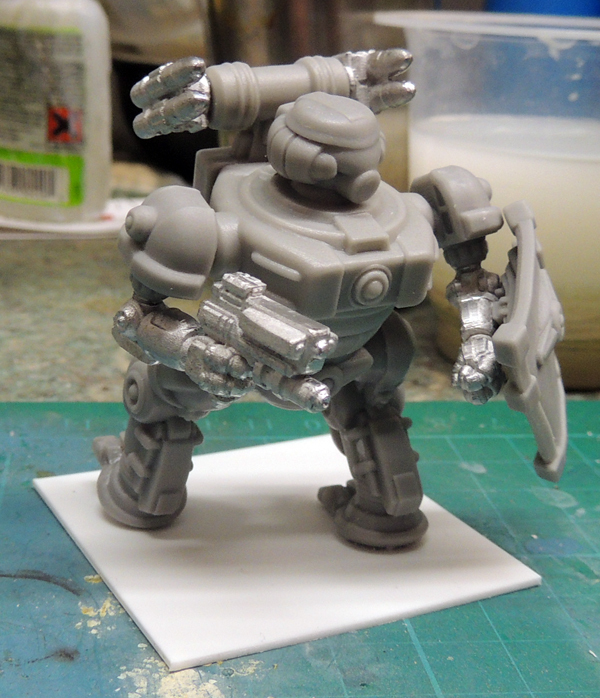 Each Kit comes with a Sword arm & Pistol arm option, and a Shield Arm. Its back packs has both Mortar Bomb and Comms array options, it also has a separate Jump Pack back pack variant. Submitted by Miniset on 16 March, 2017 - 17:26 (286592).